1.) Placing a large, brightly-colored bead or Corky between your float and the bobber stop bumper bead will provide an easy reference point to confirm your line is not fouled and has fully slipped through the float and seated against the bobber stop on each drift. It will also help to identify your float if you are fishing in a group of people using similar floats. 2.) 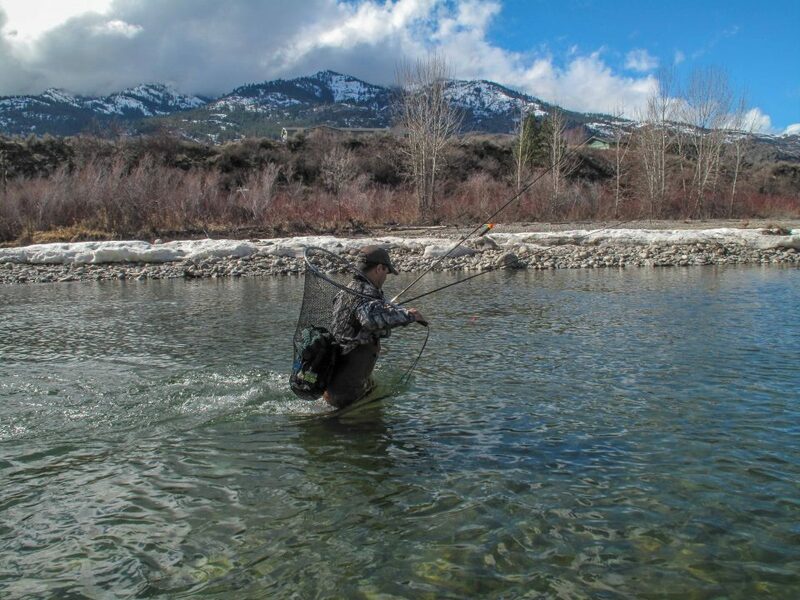 Tired of watching spendy floats drift away downstream after you break off on a snag? Add a second bead and bobber stop below your float, about six inches above your inline weight or swivel where breakage commonly occurs at knots. This works on both sliding and fixed floats. 3.) Use a permanent marker to label unmarked floats with the appropriate amount of weight they should be matched with to speed up re-rigging out on the water. With that same marker, add a little message for a bit of personalization. It’s fun, and may help you identify and recover your floats from your sticky fingered fishing buddy’s tackle bag. 4.) When fishing slow, calm water, use slightly more weight than the float is rated for to create the supreme low-rider float for maximum sensitivity. 5.) If a float has two colored areas at the top, try to overweight the float just enough so only one color is showing. This will decrease the amount of resistance a fish feels when it grabs your bait/jig, and will also produce a much more sensitive float. The best way to do this is to add a couple small split shot to your leader. 6.) When fishing faster, choppy water, use a float that has a broad profile and is two or three times wider at the top than the bottom, and step up to one size larger than what would normally be needed to float your bait/jig. In faster water avoid long, skinny floats with uniform or cigar shaped designs. This will prevent false bobber downs caused by the float bouncing with the current. 7.) When your float goes down, reel quickly until you feel the weight of the fish, then set the hook. Swinging away haphazardly at every twitch of the float will leave your gear in tangles and is likely to spook the fish in the hole you are working. 8.) Use fixed floats whenever possible, especially for water depths under five feet. Fixed floats are fishing as soon as they hit the water. Sliding floats can easily become fouled and not slip to their set depth and light weight bait/jigs can have difficulty sinking, causing a considerable delay for the line to slip through the float to the bobber stop. 9.) Unless fishing fast water, use the smallest float needed to support the weight of your bait/jig. Don’t fish a 1/8-ounce jig under a ½-ounce float. 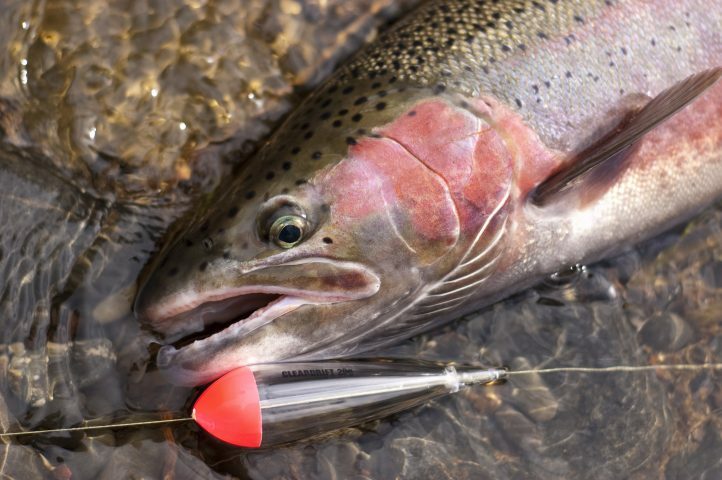 Not only is reading the action of the float harder, but fish will let go of your offering quickly when they feel the resistance of larger floats.